The first question that may come up is, “how do I create a coaching program when things are such a mess?” Hopefully your organization still has some of its high performing, high potential leaders out in the field. Plus, your organization may still have its leadership pool, whose members are probably “chomping at the bit” to increase their skills. These are the groups to turn to when you need coaches. And most likely the members of these groups will be more than happy to help out. The next “how” is how to create the program. You probably already have training for specific subjects, positions, and skills. Consider taking those programs and adapting them for use on the job or in the field. From these programs, you can create coaching guidelines for positions, skills, and even individuals. If you still have a training staff, they can help design coaching programs using the existing material. Next, the question becomes, who gets coached? It may be virtually impossible to coach everyone you want to reach, so start small. Start with new hires. You may have new hire training still in place, so take the time to analyze how much coaching that group may need. And, if new hires have responsible leaders as managers, those people can take over the coaching. 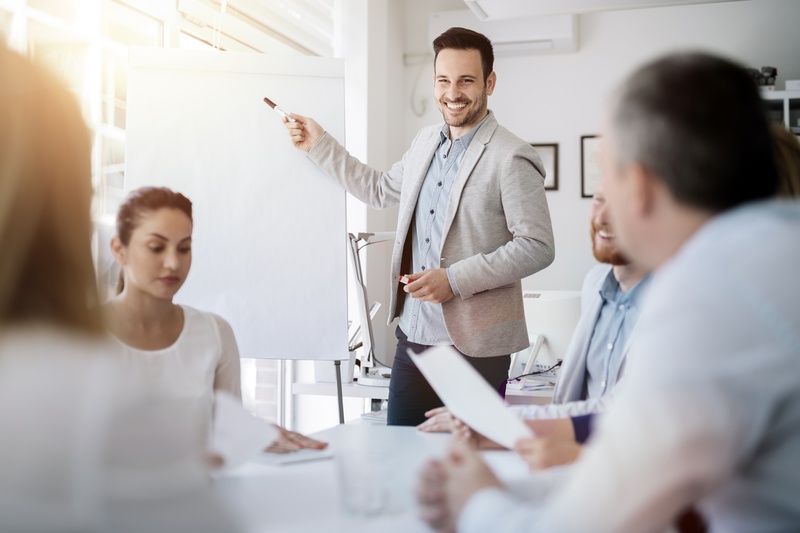 In times of economic uncertainty, new hires are typically the ones who still receive training, so also look at other groups who may be in need of a refresher. What about associates who are newly promoted? You may have had layoffs and restructuring that caused people to move up and laterally into different positions. Has that group been trained or coached at all during the upheaval? In some cases, a member of the leadership pool or a high potential leader vacated those positions. Have that person coach down the line to ensure that his or her replacement is learning how to do the job and improve as a professional. Pay close attention to those newly promoted groups, especially if they are managers. They need a coach to help them through the crisis and to help them become effective managers. Don’t forget about the group of leaders you may have already identified and developed, such as high performers, high potentials, and top-level leaders. In times of stress, even this group may get discouraged and slip into old ways of managing and leading. Try to keep their planned program going through coaching and mentoring. Each level can mentor or coach the level below it. What should be coached during this time? The topics run the gamut of organizational topics, but the main thing to remember is to keep subjects to the “need to know”. For example, you may want to tackle leadership skills and management versus leadership for newly promoted managers. Plus, you may want to touch on corrective action leadership for the entire group if they’ve never had the skill before. In other areas, you may need to assign coaches or mentors specifically for operations and technology, especially if the economic conditions have caused a restructuring within your organization. For already-identified leaders, such as high potentials and high professionals, a mentor relationship is probably more important. Instead of creating specific topics, simply be sure that each person has a mentor or coach to meet with on a regular basis to discuss relevant and pressing issues. Why should an organization go through the trouble of substituting coaching for training? The most obvious reason is that you can get your coaches without impacting a budget – and you can keep some form of education going if the training department is scaled down. But remember all of the reasons you’d want to have training and coaching going on during “normal” circumstances: retention, increasing the knowledge base, raising competency levels, and cross-training. Plus, you may find that a field-based program will give you more ideas for effective formal training when the “lights come back on”. Instead of letting training languish, consider coaching and mentoring programs to get through the crisis. The organization will emerge in a good condition when the economic situation calms down. © Copyright Bryant Nielson. All Rights Reserved.